This sounds like a case for Sherlock Holmes and Dr John Watson, doesn’t it? Dr Raynor Johnson, Physicist, and Master of Queen’s University Melbourne – scientist turned spiritual seeker. Anne Hamilton-Byrne,a “self-appointed mystic” who led a cult proclaiming herself to be a reincarnation of Jesus Christ. I met Dr Raynor Johnson at a meeting of THE CENTRE FOR SPIRITUAL AND PSYCHOLOGICAL STUDIES, a group which had its base in London. It was run by a very correct, well-spoken and elegant lady called Alison Barnard who lived in Wimpole Mews, and seemed to have a talent for booking charismatic spiritual figures as Keynote Speakers at the various meetings. We met in the Royal Overseas League, St James’s Street, London. Speakers included the likes of Sir Laurens Van Der Post, Dr Raynor Johnson, and similar figures. I’ll be focusing on Sir Laurens in a later post. During his life he published many books on spiritual philosophy, psychic phenomena and mysticism. 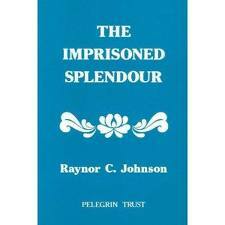 His most popular book is “The Imprisoned Splendour” (published in 1953). I remember him as a gracious, kindly, modest man of immense spirituality and wisdom. I was bowled over by him, spoke to him after his talk, subsequently read many of his books, and wrote a letter to him at his home in Australia to which he replied in a letter I have kept ever since. Of Raynor Johnson I think it would be true to say: I thought what he said was true because I was so enamoured of his personna. After I read his books – particularly “The Imprisoned Splendour” – I lived in an elevated state for several weeks. I have a vivid memory of walking up the platform at Charing Cross Station to catch a train, surrounded by people rushing to and fro, and I felt wrapped in a limitless joy and peace. I understood why things are as they are, I understood the over-arching spiritual purpose of it all, and I felt at peace with it. It was many years later that I discovered that Raynor Johnson was instrumental in starting the group which later came to be called “The Family” (an Australian cult which kidnapped and abused children,) together with Anne Hamilton-Byrne, the “self-appointed mystic” who led the cult proclaiming herself to be a reincarnation of Jesus Christ. Raynor Johnson provided premises (called Santiniketan Hall) at his home in Victoria (from which he wrote an inspiring letter to me in 1976) and recruited middle class professionals who all subscribed to the bizarre beliefs of the cult whilst adding to its respectability. I knew nothing of this association during the entire time I was enamoured of Raynor’s Johnson’s writings and spiritual ideas, and continued to know nothing until a number of years later. After one of the children was expelled from The Family, and exposed its practices to the authorities, the cult was raided by the Victoria police on 14 August 1987 – (as it happens, the year of Raynor Johnson’s death). Anne and her husband were arrested in June 1993 by the FBI in the USA. In August 2009 Anne’s grandaughter and a former cult member successfully sued her for psychiatric and psychological abuse and “cruel and inhuman treatment”. She was also sued for misappropriation of money, and made a secret out-of-court settlement with a victim as recently as August 2011. 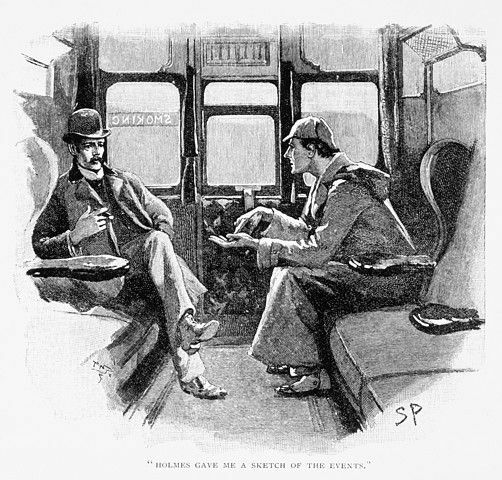 I believe that this kindly professor was exploited by a cunning and manipulative person who later went on, using his cloak of respectability, to commit evil acts – but none of us are proof against being exploited or used. However, if you follow the links and read of the case, I hope it will serve to help you understand why people do become deluded by self-appointed mystics, why they join cults, and why they become drawn in by false teachings. 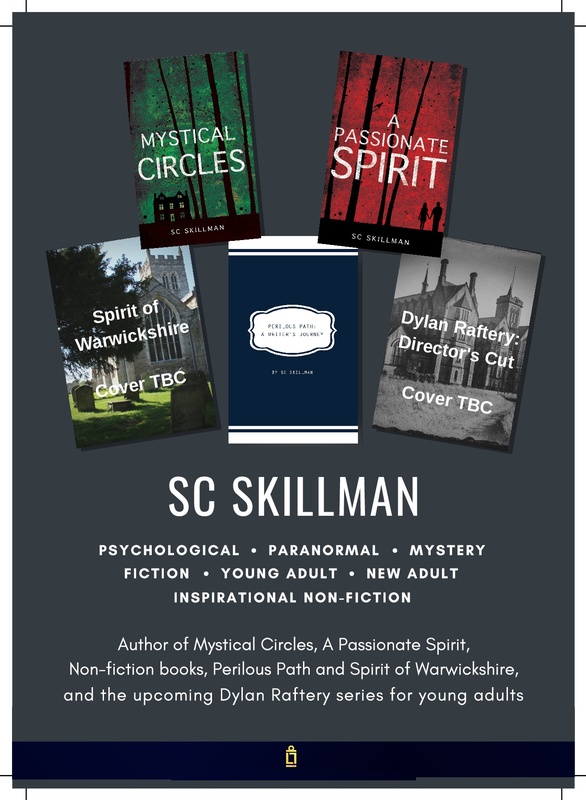 Some of these experiences and reflections have played into the characters you will meet in my novel “Mystical Circles” – as well as those in my current novel “A Passionate Spirit”. And perhaps the best postscript to this lies in these words: Watch out for false prophets. They come to you in sheep’s clothing, but inwardly they are ferocious wolves. By their fruit you will recognise them. Share your thoughts and feelings with me about this journey. Do you identify with it? Have you ever been drawn into beautiful philosophical teachings by a charismatic figure? Have you been inspired by any books or authors in this way? I’d love to have your comments! I really enjoyed reading your article thank you. I am actually Raynor’s great granddaughter and The Family greatly affected my grandfather (Raynor’s son Lesley). I never met Raynor but have had the privilege of touring Queens College. My grandfather speaks highly of him as he was a kind man. It was just so sad that he was lured into Anne’s world. Thank you for responding to my article on Raynor Johnson. I was very interested to hear your views on him and also those of his son. He certainly made a big impact upon me when I met him, and read his books. He was a brilliant writer, as I can testify from the profound effect his published works had on me, in particular the first one I read”A Pool of Reflections”. I was very pleased to hear from you and send you and your family my good wishes. An interesting read. We have to be very careful regarding to how we can be captivated by people who are charismatic. I fell into that trap when I was younger working in the business world. I thank God that He is not interested in superstars and uses the ordinary to confound the so called wise. Thank you. It’s true we have to be on the alert to how we respond to those who are charismatic – and there are several figures in the Christian world whom I could name here but won’t – all wonderful inspirational speakers, but thereby representing a similar trap for the vulnerable and needy. Only after writing this post did I recognise consciously how I have used this “trope” in my current novel “A Passionate Spirit”: a seemingly-spiritual figure using someone else’s “cloak of respectability” to gain power and control over others. Hi ya…really interesting. When I worked for Evangelical Alliance part of my brief was to engage with the cults and occult scene. The scenario you describe is familiar on two counts. When individuals start coming alive to spirituality leaders, guides and gurus who play an important role early on the journey are rightly revered but can easily loom too large. This is the case whether that person be a university professor, a mystic, a youth worker or even the local vicar! The other recurring factor is where bona fide figures and/or their teachings are appropriated by an emerging cultish group to provide respectability, credibility and gravitas. The UnificationChurch(Moonies) were adept at this – running conferences under the name of some foundation or another at prestigious venues with glittering guest lists. People were flattered to be invited, contributed enthusiastically to the debate only to find their speeches and papers used by the wider movement. My mother was stung this way when she was on the Advisory Council of the BBC! Look forward to reading more about Laurens Van der Post – I loved his writings about Africa (Bushmen of the Kalahari etc) not least because when I was a teenager we used to spend the summers in a house in Aldeburgh which had wonderful literary associations. He used to write in a coastguard hut on the beach and came in to tea on occasions. Thank you for your comment. What you say about being drawn in by “spiritual figures” is so true. I have come to believe that the 4 ingredients of the dangerous cocktail are: a charismatic personality plus a cloak of respectability plus a body of powerful spiritual teachings with strong emotional charge plus the desire to spread it to others in order to manipulate or control them.Human beings are always potentially vulnerable to this – sadly I think those who are suggestible, lack self-confidence and self-esteem, suffer from insecurity and neediness, are prime targets for “spiritual con-tricksters”. Sir Alister Hardy (whom I mention in Part 1 of the series) said man is fundamentally a religious animal, and I feel that deep within us there is a desire to accord divine or semi-divine status to those who convince us they are in touch with the truth. During my years of New Age exploration I heard people say this: “He is my master. He is in touch with the truth.” It is very easy for the ruthless to exploit this for material gain. Again and again I rediscover that as Jesus said, we need to be “innocent as doves and wise as serpents”.